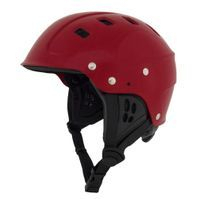 The NRS Chaos Water Rescue Helmet is an excellent choice for kayakers, rafters, swift water rescue looking for safe, economical and comfortable head protection. 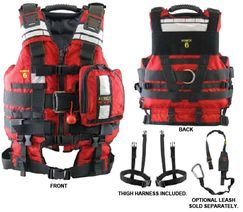 The Force 6 Rescue Tech is a USCG approved Type 5 Professional Swiftwater Rescue PFD is loaded with removable left front pocket, waist belt, adjustable shoulder straps, rear hydration attachment points, and much more. A full-coverage wetsuit designed specifically for rescue crews. This wetsuit provides the higest level of visibility, insulation, while still retaining mobility. Swift water rescue can be extremely cold and very demanding work. 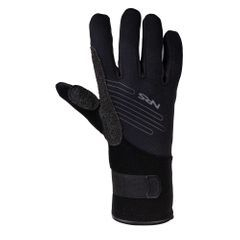 These gloves were designed with extreme and tough in mind. 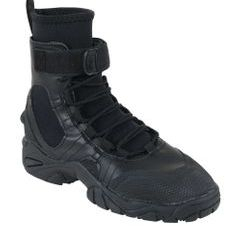 Used by water rescue professionals and military amphibious units this boot is the hardest working rescue boot on the market today.